The current construction behind the Clough Undergraduate Learning Commons (CULC), intended to create a wider pathway and make the cobbled street safer will soon be expanded. From November 3, construction will begin at the site the food trucks currently occupy. According to Young, within the next few weeks a decision will be made through a discussion between Facilities Management, Auxiliary Services and Capital Management. The plans to redo the area existed way before the thought of food trucks came across anyone’s mind. 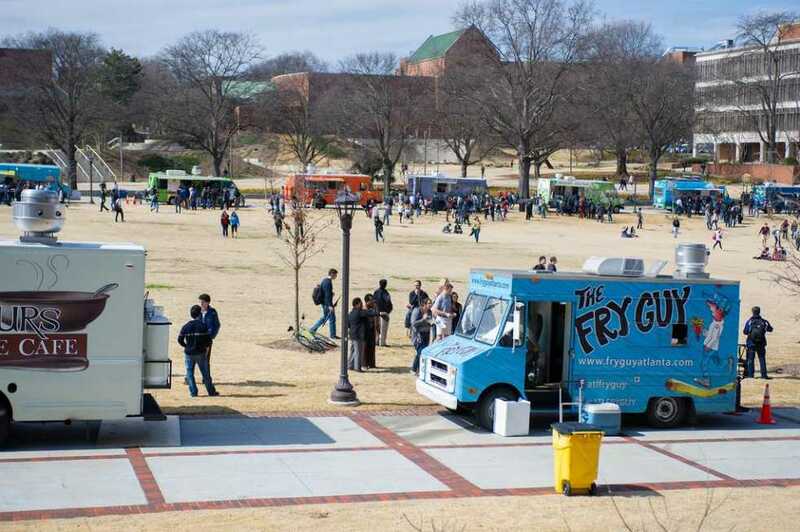 Last February, Auxilliary Services set up a Tech Truck Tournament on Tech green in which 16 different food trucks from around Atlanta competed to be voted as a “favorite food truck.” Students sampled food from different trucks and voted on which vendors they preferred. As a result, 10 of these trucks currently offer their wares at locations around Tech, including next to the CULC. This includes Viet Nomie, Fry Guy, Mac the Cheese and Mighty Meatball. Such additions and changes to planning and construction are quite common. According to Jelin, all construction on campus is based on the master plan for the institute. A lot of construction work is also the maintenance of old buildings and pipelines through the campus. “The change I have seen on campus in my eight years here has been phenomenal,” Young said. There is also plan to make all the buildings on campus adhere to a certain design to make sure they are identifiable as Tech buildings. “I think that helps people connect to the campus more. Walking on the campus should be a pleasant experience. And I have had people tell me that they really enjoy walking on campus,” Jelin said. It has taken a lot of work to expand the campus and make it the way it is in the middle of the city, according to Jelin. The planning of construction around campus is the responsibility Capital Planning and Space Management.